1. What is Article 112? Article 112 can be called in short as lèse majesté law which connotes the meaning more than what is actually provide for in the law. In this website, iLaw tends to call Article 112 in short as “lèse majesté law. 2. Article 112, what is its problems? - The penalty rate of three to fifteen year imprisonment is just too high and comparable to an offence of preparation to commit the insurrection, or manslaughter, or kidnapping of a minor younger than fifteen years. - The minimum penalty rate of three years is also too high. Even though the case could be trivial, but the Court is left with no discretion but to impose at least this penalty rate. - Vague elements of crime, particularly the term “insult” which has been interpreted so widely covering a variety of act or expression. - Article 112 protects persons holding different positions including the King, the Queen, the Heir-apparent, or the Regent, equally and indiscriminately, even though the damage done to the King should be more severe than the damage done to other personalities. - Article 112 is included in the Title on “Offences relating to the Security of the Kingdom”. Therefore, its interpretation and enforcement can be cited for the sake of maintaining national security and that would do a disservice to the defendants. - Article 112 has been subjected to extensive interpretation and use in order to criminalize a variety of actions without a clear boundary. It is hard from ordinary persons to understand which kind of act constitutes the offence. - Any ordinary person can bring charge against another person invoking Article 112. It does not oblige the injured party to make the complaint. AS a result, Article 112 has been used to accuse so many people. - Law enforcement officials involved with the prosecution per Article 112 have often found themselves subject to sheer pressure from society and as a result, it would be hard for them to make any discretion in favor of the defendants, i.e., by refusing to indict the case, or allowing the alleged offenders to have bail or dismissing the case. 3. In practicality, how does the Court impose the punishment per Article 112? In most cases, the Court of Justice often imposes five years per count, for example, in the case against Somyot Prueksakasemsuk, the case against Daranee (Da Torpedo), the case against Ampon (Uncle SMS), the Wolf Bride case, etc. Meanwhile, in several other cases, the Court has opted to impose much harsher penalties including the case against Piya who was sentenced to nine years, Charnvit who was sentenced to six years and the case of bookseller who sold the Thai translation of “The Devils Discus” who was sentenced to three years. Under the rule of the military government, the Military Court often imposes 10 years of imprisonment per count, for example, the case against Hassadin and 9 others who was accused of producing 'Banpodj' audio clips, the case against Pongsak, Thiansutham, Samak, etc. Meanwhile, the Court may impose harsher or lighter penalties such as the case of Sasivimon who was sentenced to eight years per count, Nirand for five years per count and Opas for three years per count. 4. How extensive can Article 112 be interpreted? Literally, even though an offence against Article 112 must confines among the defamation, insult and threatening of the persons protected by the legal provision including the King, the Queen, the Heir-apparent, or the Regent, but in reality it can be interpreted so extensively to cover more acts. In a verdict by the Supreme Court in the case against Nutchakrit, the Court interpreted that the mention of King Rama IV was an offence, or in the case against Nopparit who was accused of forging documents claiming they belonged to Princess Maha Chakri Sirindhorn and Thanakon who was prosecuted on the charge simply for clicking ‘like’ and making a comment about a royal dog “Khun Thong Daeng”. The prosecutions beyond that is provided for by the letter of law has made it difficult for most people to figure it out the boundary of the law. 5. How much can one express oneself about the monarchy? From its legal provision, Article 112 simply protects the persons holding four positions only and does not cover the ‘monarchy’. Therefore, a criticism about the monarchy as an institution should be doable without criticizing the persons or making other criticisms about other personalities relating to the monarchy. The other royal family members, the Privy Council, close aid, the Crown Property Bureau, and the Royal Project are not protected by the legal provision and any criticism about them should be doable without making a gesture to defame, insult or threaten them. But given the general climate in Thai society and politics and the over-interpretation and over-enforcement of the law has made the boundary of the possible expression very dubious and unclear. 6. How is Article 112 related with political conflicts? Amidst political conflict in Thailand since 2005, there have been instances that the expressions of political opinions by one faction had been accused of being lèse majesté and culpable per Article 112, which is a serious crime. And it has put the accused at a very disadvantageous position. Article 112 has thus been regularly invoked to crack down on political opponents and used by all political factions. 7. How does Article 112 impact society? That the massive number of people prosecuted by Article 112 and the harsh penalty rate coupled with the trial procedure whereby most of the accused have been denied bail and the Court has ordered a secret trial, has engendered a burgeoning climate of fear. It has engulfed the whole society with the notion that the monarchy is untouchable and unspeakable and people are supposed to practice self-censorship. They have to be utmost cautious when discussing any issues about the monarchy including during personal communication and public communication. Such condition has gravely compromised Thai people’s knowledge and understanding about the monarchy. In addition, given that Article 112 has been used for serious criminalization, it has been abused to revenge another person even among people who are related to each other, for example, the case of an older brother who took his own younger sibling to the Court on this charge by alleging that his brother was making a lèse majesté remark, or the cases in which fake facebook pages have been created to retaliate another person accusing them of committing lèse majesté offence as a result of personal feud such as the case of Sasivimon and Wichai. 8. How does Article 112 impact the monarchy? When news about how a number of people have been prosecuted using Article 112 and how they have been sentenced to harsh penalties is made public, it has drawn out criticisms that the law has been used to stifle freedom of expression and human rights. It sometimes has an indirect ramification on the image of the monarchy in Thailand, particularly when such news broke into international community. It could incur negative feeling among them against the monarchy. In addition, since it is highly sensitive to discuss the issues about the monarchy in Thailand, it has distanced the institute from the perception of ordinary persons making it not accountable and not adjusted to the modern world. Even the late King Bhumibol Adulyadej once said that “...the saying that ‘The King can do no wrong’ is in itself wrong. It is indeed wrong to say that. And it is improper to do that....”. 9. Proposed amendments to Article 112? 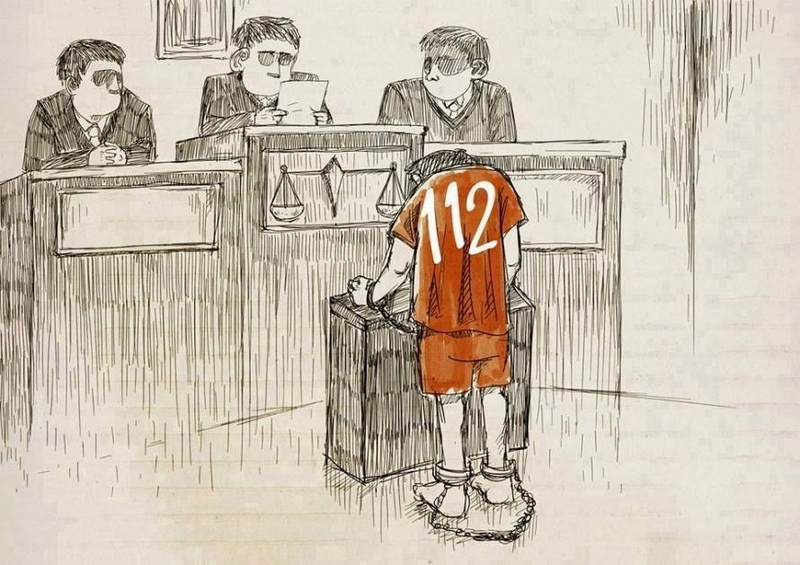 In the past several years that Article 112 has been subject to widespread criticisms, recommendations for its amendments have been made by several lawyers to address its enforcement including Mr. Thongbai Thongpao, Mr. Warin Thiamchamrat, etc. Various groups believe the law itself should be abolished including Mr. Giles Ji Ungpakorn, the 24 June Group, etc. Several others would opt for keeping it, but to have it amended including Mr. Sulak Sivaraksa, Mr. Nidhi Eawsriwon, Mr. David Streckfuss, etc. 1. To have Article 112 excluded from the Title on “Offences relating to the Security of the Kingdom”. 4. To change the penalty rate by removing the minimum punishment and fixing the maximum punishment to three years and to separate between the ordinary defamation and the act on publication. 7. To prohibit an ordinary person to bring such charge against another person and the legal standing should be confined to just the Bureau of the Royal Household. 10. How possible are the proposed amendments for Article 112? After its latest revision by a Declaration of the Revolutionary Council in 1976, Article 112 has never been subjected to change ever again by any government. In May 2012, more than 10,000 people signed a petition proposing the Parliament to have Article 112 amended per the proposals of the Nitirat Group, but the then Speaker of the House of Representatives, Mr. Somsak Kiatsuranont, determined that the proposed amendments were about the amendment of the law concerning the monarchy, not the law about people’s rights and freedoms, and thus it was not constitutional right of the people to propose such amendments.